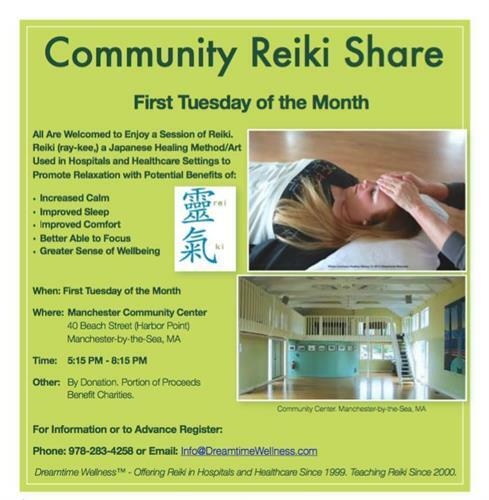 Reiki-by-the-Sea: 'First Tuesdays.' 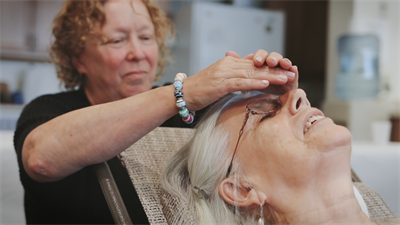 Enjoy a session of reiki (ray-kee) in a group setting; greater affordability and community service. A portion of the proceeds benefits charities, local and abroad. 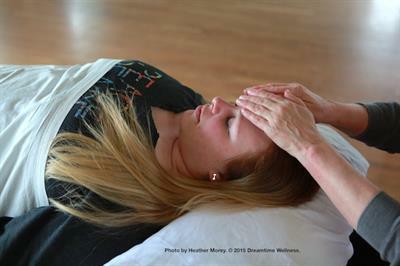 Reiki sessions help promote improved comfort, increased calm and a greater sense of peace. Enjoy a relaxing evening in a peaceful setting. 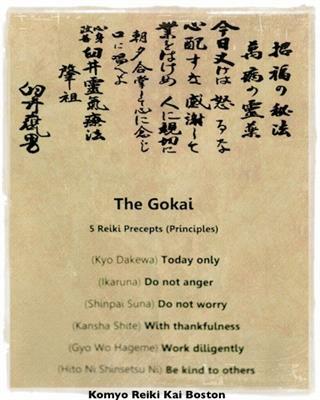 Come for the whole evening and enjoy a meditation and other Japanese-style reiki practices. Or, schedule a time for your session in advance. Contact: Reiki Teacher and Registered Nurse, Karen Pischke info@dreamtimewellness.com or via Phone: 978-283-4258 to Advance Register. First Tuesdays. 5:15 - 8:15 pm.